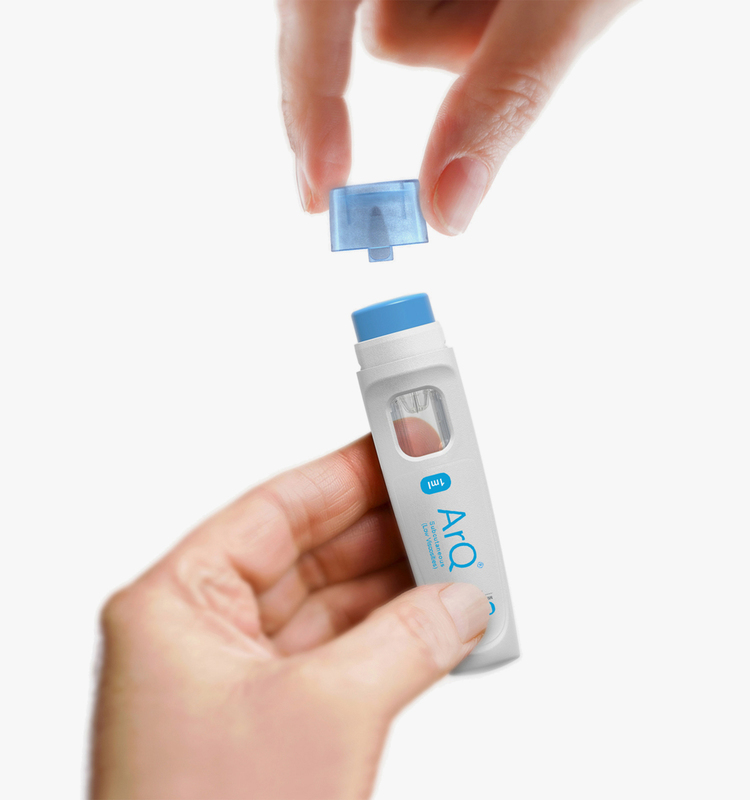 ArQ® is built around our cyclic olefin copolymer (COC) primary drug container. It offers an autoinjector that is simple to use for the patient, with the flexibility and ability to deliver a wide range of viscosities and volumes. 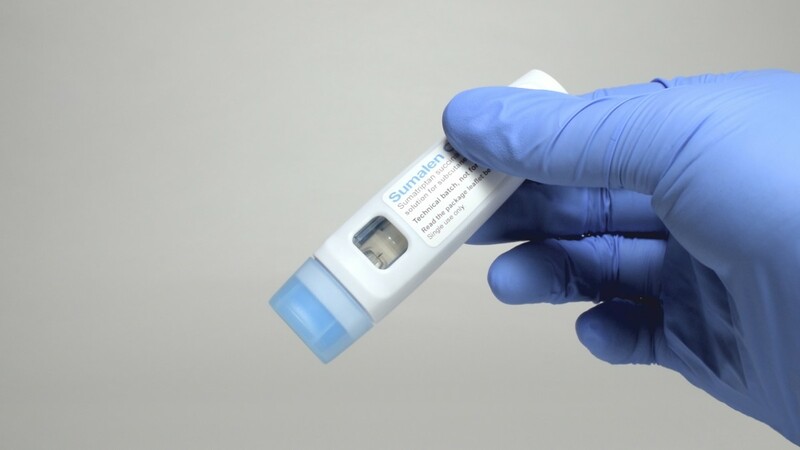 This platform is the basis for our Sumatriptan autoinjector, Sumalen Ovali, that is currently in development. The design of ArQ® has evolved around understanding patient needs. The user interface of the device has been simplified, removing potential false cues and making the functionality of the device easily guessable. It's use steps have also been minimised, with the user only having to remove the cap and then press the device against the injection site. Audible clicks provide feedback at the start and end of drug delivery, making injections a simple and understandable process for the user. COC drug containers provide design flexibility through injection moulding enabling a wide range of volumes and viscosities to be accommodated in a customisable patient-centric design. 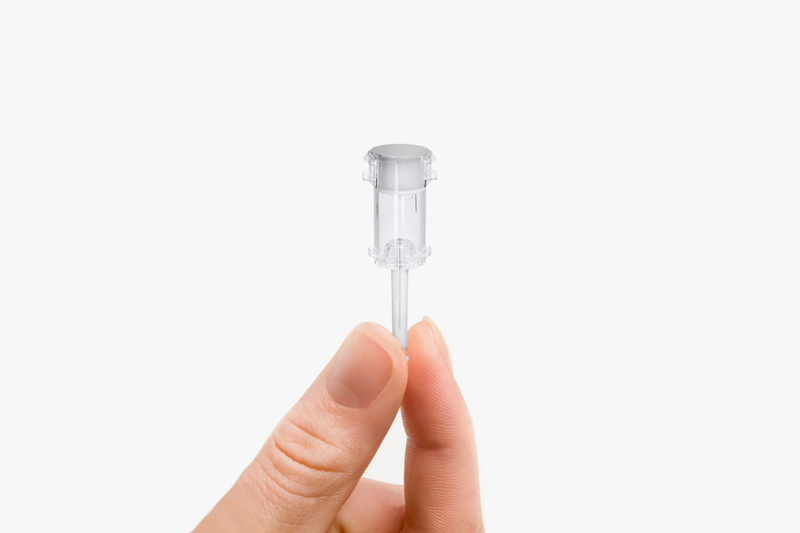 Both the advantages provided by Oval’s COC drug container, and the design of the actuation mechanism allow our subcutaneous devices to achieve consistent subcutaneous delivery. Through the moulded container and supportive downstream manufacturing processes, accurate and consistent needle length is achieved compared with conventional glass based technologies (1). 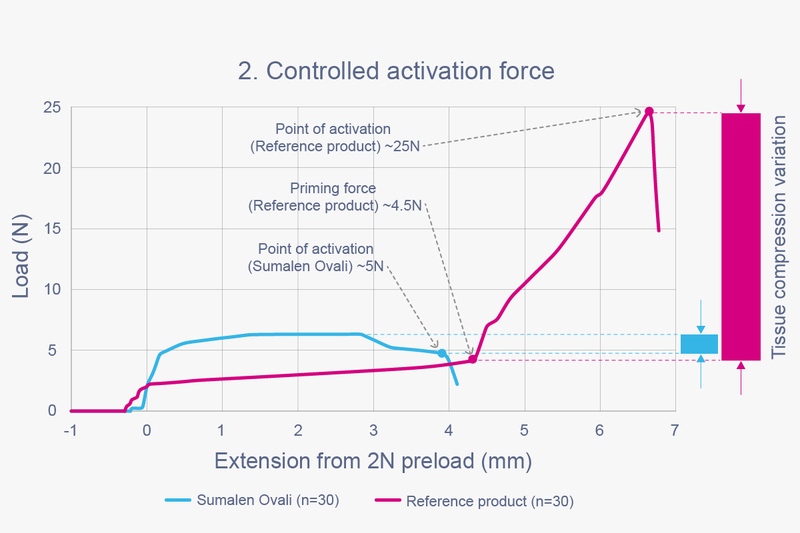 The low force (2) and single actuation mechanism designs remove actuation technique variability that could affect injection depth. 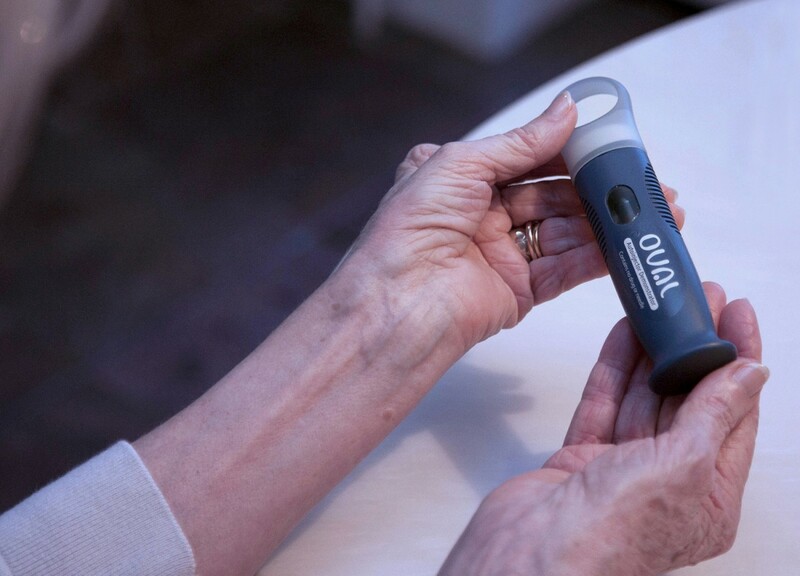 Oval’s subcutaneous autoinjector has no secondary actuation button, removing the possibility that force from this is transferred through the device to the patients tissue, meaning that tissue compression is minimised on injection. The results of both of these have been seen through testing using dye injected into a flesh medium, showing a bolus at the correct depth (3). Through Oval’s cup seal and foil technology, our subcutaneous platform achieves consistent delivery times that do not increase over the products shelf life, verified through testing in porcine belly fat. 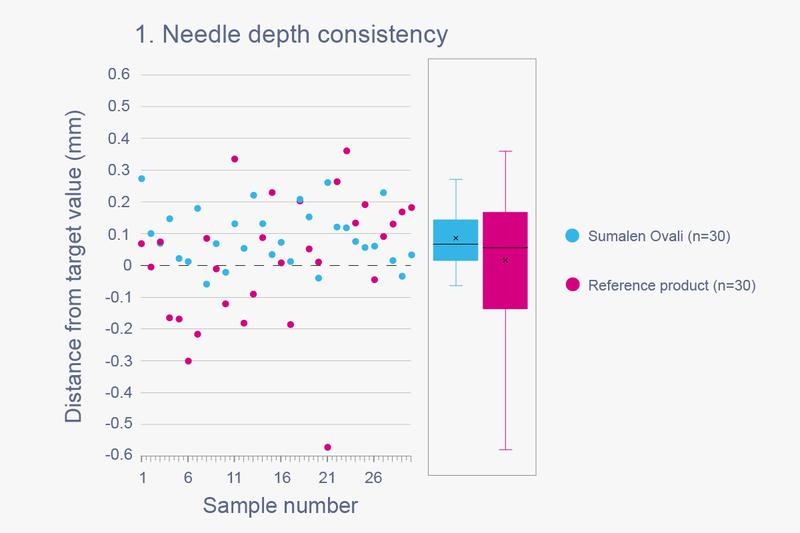 This results in a more reliable injection experience for patients, giving them confidence the drug delivery will complete in the same amount of time, and reducing the risk of “wet injections” due to delivery taking longer than expected. If you are interested in partnering with Oval on ArQ®, or want to find out more about the platform's capabilities, please contact us.